The electronic barriers that keep foreign websites out have created a safe space for copycats. A look at the Middle Kingdom’s parallel Internet universe. 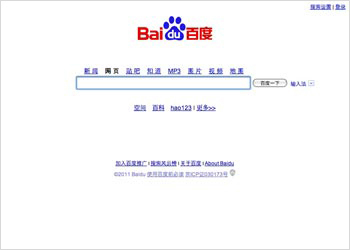 Baidu, China’s dominant search engine, has a home page and ad-revenue model very similar to Google’s, and like its U.S. counterpart, it’s moving into other services, including the popular discussion forum Post Bar (tieba.baidu.com) and the Q&A site Baidu Knows (zhidao.baidu.com). Baidu’s stock price and traffic grew when Google halted China-based searches after its mid-2010 spat with the Chinese government over censorship. Dangdang, one of China’s earliest VC-funded sites, has, like Amazon, sought to become a general retailer but is still best known for its books. Dangdang, which recently filed for its IPO, does face threats from joyo.com, which was purchased by Amazon in 2004 and rebranded as Amazon China. 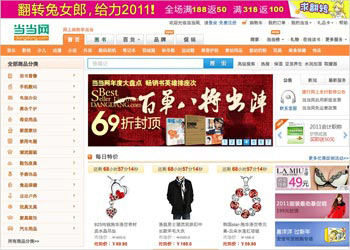 Both face tens of thousands of competitors who sell their wares on Taobao (see top right). It’s impossible to understand the Chinese Internet without knowing about Tencent, the biggest online player by market cap, traffic, and registered users. Tencent started as the instant-messaging platform QQ — the name is a corruption of ICQ — and IM is still Tencent’s hallmark. But it also has a massive news portal, myriad online games, forums, blogs, microblogs, and just about any web-based service that users want. It makes more money from the sale of virtual goods and online services than from advertising. In early 2010, Baidu took in a $50 million investment from Providence Equity Partners — perhaps not coincidentally also a Hulu investor — to launch the Hulu clone Qiyi. Access to Baidu’s search data gives Qiyi a crystal-clear picture of what Chinese Internet users want to watch, so the site is on track to become a powerful player in online video. But lurking quietly is state broadcaster China Central TV’s cntv.cn. If Qiyi, Youku, and Tudou begin eroding its market share and viewer numbers, expect some official action to crush them. If there’s one thing Chinese people like to do as much as eat, it’s talk about food. Dianping has a fanatical following. It is China’s biggest consumer-reviews website, originally focused on restaurants but increasingly covering other services and stores. The user community ensures that phone numbers and addresses are accurate for most of the nearly 1 million locations listed, and are unshy in both their criticism and their praise. This is especially important given that most Chinese readers assume that food reviews in magazines and entertainment websites are essentially paid advertorials. YouTube has been blocked in China for nearly two years. Its two main copycats also host TV shows and films licensed from copyright holders, because the Chinese appetite for user-generated video content still isn’t strong. 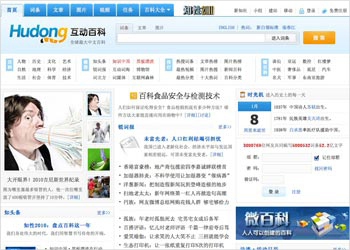 Youku raised $203 million in its December NYSE IPO; Tudou has also filed for a U.S. offering. Dozens of clones have copied Groupon’s design and business model, but no single one has broken out. That’s in part because many Chinese were already used to a different online model for discount shopping called tuangou (“group buy”). It started with groups of Internet users living in the same city who wanted to buy the same product; they banded together online to pressure retailers into offering discounts for bulk purchases. This is still com-mon, as are websites that do deals with retailers for bulk discounts and then try to find buyers online. 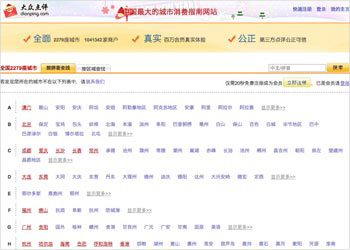 In 2005, Sina recruited a horde of celebrities to blog on its new self-publishing platform, quickly sending previously popular blogging platforms into relative obscurity. Today, all of China’s major portals — Tencent, NetEase, and Sohu — boast blogging platforms, but Sina’s ad-revenue-driven offering remains the most popular. 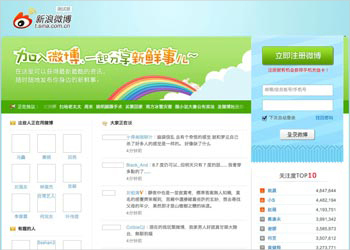 Fanfou.com, originally China’s most popular microblog platform, was shut down with a few other Twitter-like startups in 2009, after ethnic riots in the restive western region of Xinjiang. Twit-ter was blocked by China’s Great Fire-wall at around the same time. 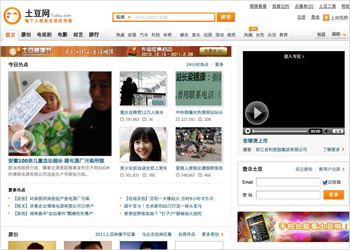 Shortly afterward, Sina, one of China’s mammoth portals, launched the microblog service Weibo, which has 50 million users. Its influence in China is akin to — and possibly greater than — Twitter’s elsewhere, and it could challenge the social networks’ popularity. Weibo incorporates some Tumblr-like features, making it easy to post video and photos. And you can say so much more in 140 Chinese characters than in English. 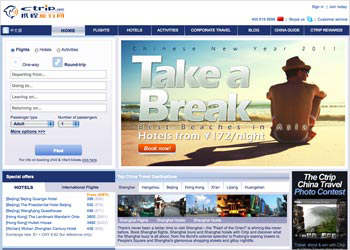 With annual revenues for 2010 estimated at well over $500 million, Ctrip is the biggest online travel merchant in China, selling domestic and international air tickets, hotel bookings, and package tours. Known for excellent customer service — for clients lacking credit cards or online payment capability, Ctrip will send a courier to collect cash — the site does have to reckon with legal restrictions on selling travel abroad and visa complications for Chinese passport holders. 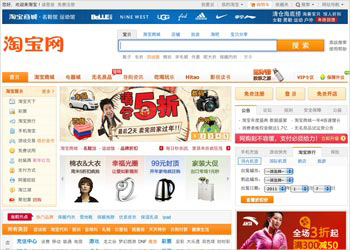 Taobao has become so popular among younger Chinese that many consumer-product manufacturers, including giants like P&G, have opened Taobao stores, finding it easier to sell there than to drive traffic to their own online stores. It’s part of Alibaba, the online giant started by the charismatic, elfin former schoolteacher Jack Ma as a huge online bazaar of companies selling goods for export. Baidu operates a popular Wikipedia clone called Baike that leverages its massive traffic, but the independent community hudong.com is probably closer in spirit to Wikipedia. Both sites censor controversial or “sensitive” content about history and politics. The Chinese seem to like their professional networking done offline. Several variants have sprung up, including wealink.com, hengzhi.cc and ushi.cn, but none of them has managed to build significant traffic or community. 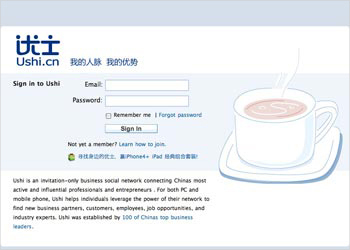 Invite-only ushi.cn, the newest, has a minuscule but active group of members, many of them venture capitalists who invest in Internet properties. HengZhi, also invite-only, seems to be headed in the direction of an exclusive club with lots of offline activities, while Wealink might as well be Weaklink — it’s a bland, low-traffic LinkedIn clone.